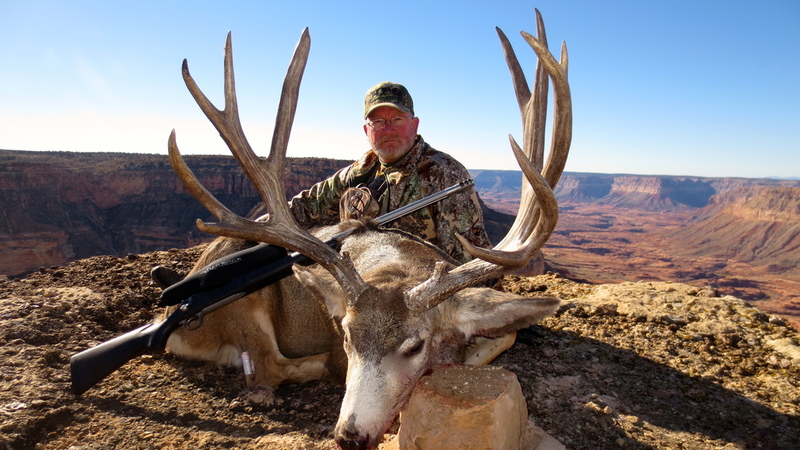 Hunting Outfitters in Arizona - "Nobody Works Harder"
Call or email us for Pricing and Availability!!! Here at HPO we treat your tag like one of our own. We fill tags every year with the very Best your unit has to offer. You will not find anyone else in the business that will work harder to show you a great time. We are more than happy to talk with you about your hunt so Call us any time to talk about the options we offer. We have return clients every year that keep trusting us and have become great friends. We hope you would give us the same chance to be a part of your hunt. We hunt all over the state for all seasons and hope you're one of the many to put One of these giants on the ground this year. The moisture is looking good and we have BIG hopes for the horn growth this year. Thanks for your interest in High Point Outfitters! Enough about us, which hunt would you like to go on? If you'd like to see more awesome hunting videos and stories from our recent trips, check out our hunting blog!